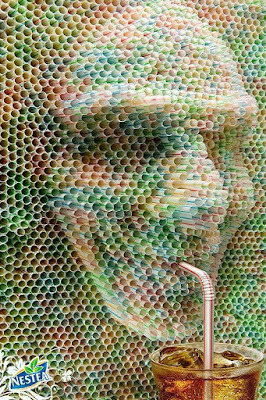 Cool and creative advertisements inspired by straws by various companies from all over the world. 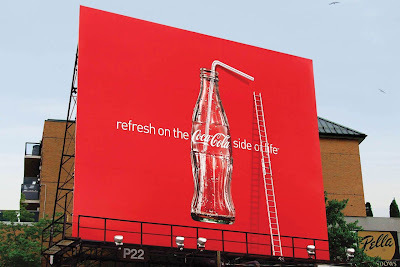 Chinò Straw Advertisement: To promote the drink, fifteen feet high drinking straws were installed in main fountains all over the important Italian cities. Oficina do Açaí Straw Advertisement: Special straws were put into real and juicy fruits to promote products from Oficina do Açaí. 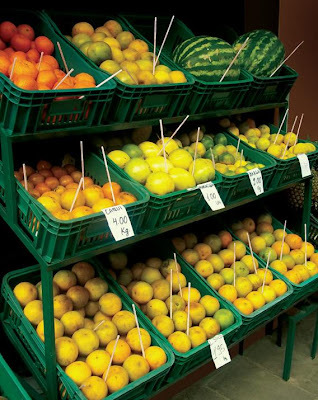 The straws read: "The most natural juice in the town". 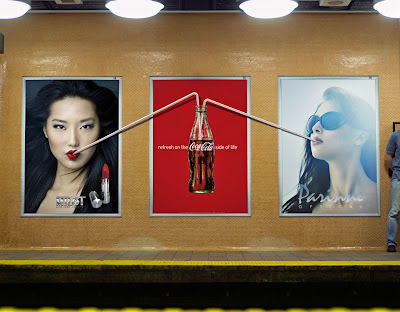 Lusy Laksita Broadcasting School Strawphone Advertisement: To promote Lusy Laksita Broadcasting Course, Strawphone was created by putting a sponge on the straw that made it look like a mini microphone. 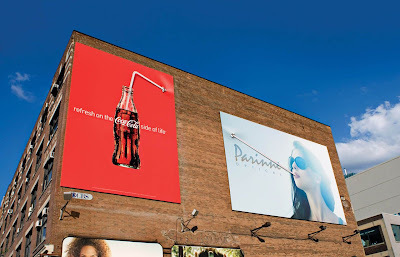 More Energy Drink Straw Advertisement: A clever ambient advertisement promoting the benefits of the product using a printed straw with an electrical cable on it, demonstrating the person energizing self. Ministry of Health Portugal Straw Advertisement: Regular straws were replaced with clogged ones with a message on it in selected fast food restaurants around the country to demonstrate the effect of cholesterol. 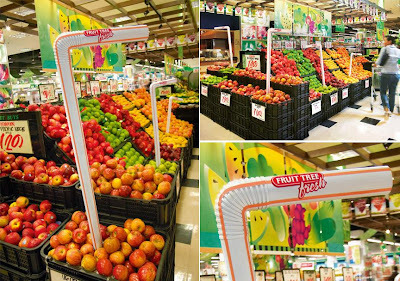 Fruit Tree Fresh Straw Advertisement: This cool advertisement comes from Malaysia. 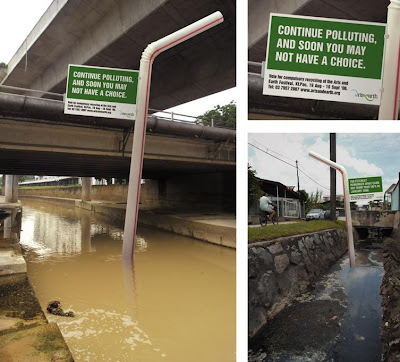 Arts & Earth festival Straw Advertisement: Big drinking straws were placed in waterways, streams and rivers around Kuala Lumpur city. And notice boards were attached on these straws; thereby calling the public to vote in their opinion on saving water bodies. Nestea Face Straw Advertisement: "You are what you use to eat (drink)"
Y+ Yoga center Straw Advertisement: The flexible drink straws placed at fruit juice centers showcased the prowess of a yoga practitioner. 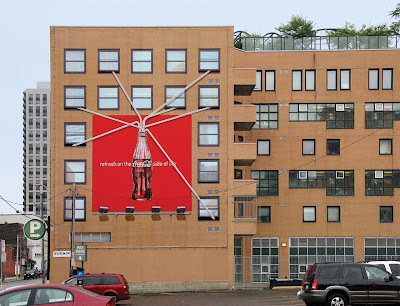 Cola Straw Advertisements: The straws extend from the bottle in these creative advertisements.